For my recent trip to Iceland, which was a business trip really (shooting a film festival in the Westfjords) I was looking to add some extra time to go and discover some ares in the country that I hadn’t visited before. This would be a large part of Northern Iceland. So in my efforts to plan a few extra days I stumbled upon this guesthouse in Sauðárkrókur. So I got in touch with Ólina, worked out a few dates with here where I was going to be staying over, (agreed on me taking some photographs, a video and doing a little interview) and off I went. Packed and ready to go to Iceland. 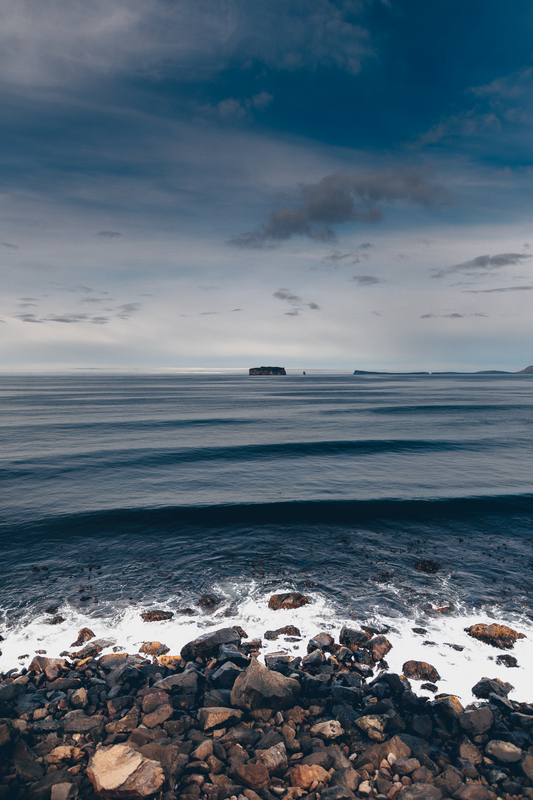 To visit the Westfjords. But adding a few days staying over in Drangey Guesthouse. And it was the best thing ever, let me tell you about it. After a long day of driving and arriving late in the evening I checked in to the guesthouse. 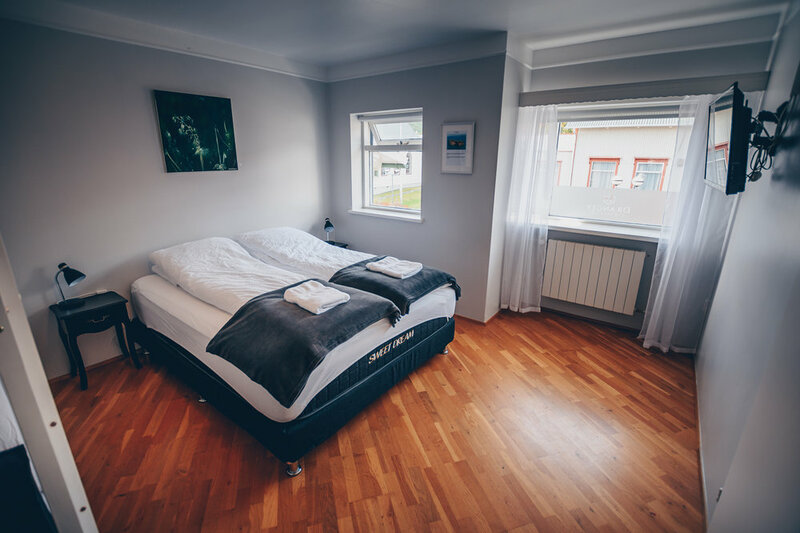 Let me tell you, a warm shower, cup of coffee and a decent relaxing and comfortable bed is so so good after driving 8+ hours on windy, rainy Icelandic roads. I felt like coming home. The next day I personally met Ólina, Þorgerður Eva and Jóhanna. It was easy to see that these ladies really put their heart and soul into running this place. It totally breathes kindness, hospitality and most of all it has this “at home” feeling. 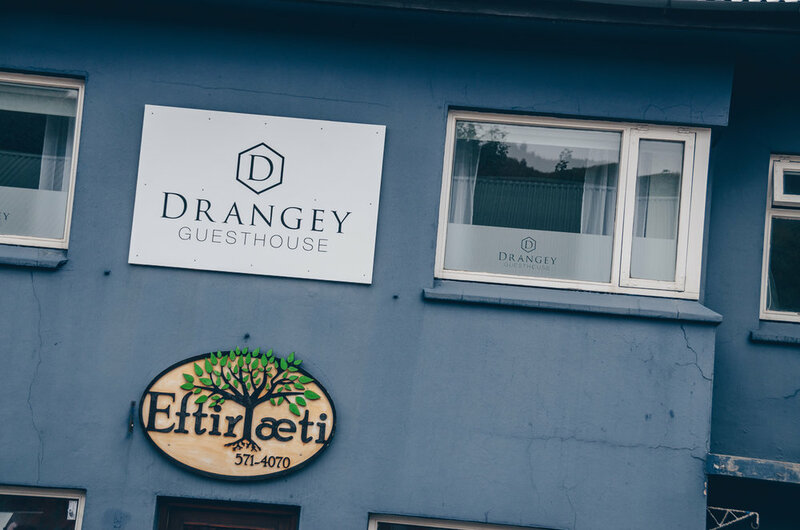 It has been so nice staying in Drangey Guesthouse, really a nice place to come to senses, relax and a good nights rest, after all the impressions that Iceland has to offer. Ólina, Þorgerður Eva and Jóhanna were super easy going, very friendly and much fun to talk too. The area surrounding the guesthouse is amazing, and has so much to offer. But Ólina will give you more information on that in the interview below. I would highly recommend staying in this beautiful guesthouse, run by lovely hosts. Honestly there is not much else to add, go and experience it for yourself. Go to Sauðárkrókur, meet these ladies, stay in the cozy and comfortable guesthouse, and experience amazing Iceland the way it should be. Stress free and with a good experience in a nice place to stay. Again, adding these few dates to stay here was a very very wise decision. I will be back for sure. 1. First of all thanks for having me, can you tell us a little bit more about you, and the people behind Drangey guesthouse? Thank you. My name is Ólína Björk Hjartardóttir. I‘m an Esthetician and opened my own beauty salon and gift shop Eftirlæti (Your favorite) in 2012 on the ground floor at the same house as the Guesthouse. I have a husband and two girls born 2012 and 2014. I started Drangey guesthouse with Jóhanna, we are both born and raised here and know the town and the people here well. Jóhanna is a Fashion Designer and at a time she had her workspace at my salon. 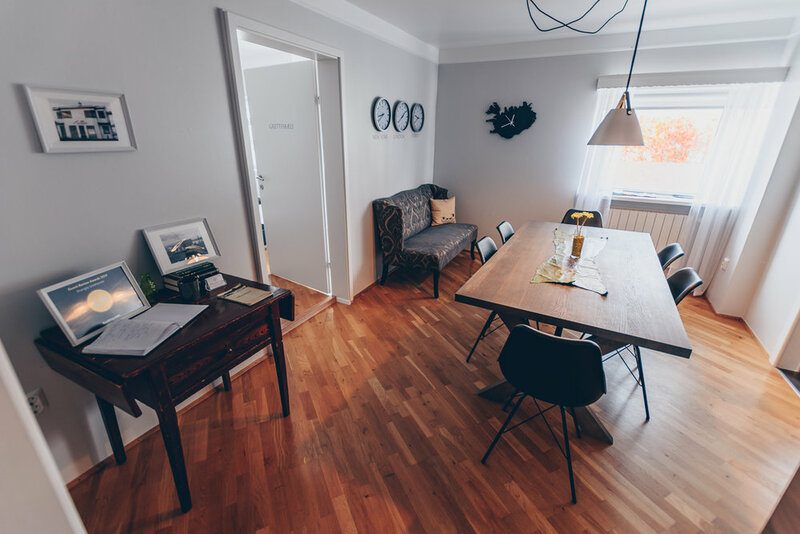 Jóhanna and I bought the apartment above the beauty salon and turned it into a guesthouse in 2017. After the summer of 2018 Jóhanna quit and I bought her shares in the company. I have one employee, Þorgerður Eva, here at the guesthouse who is also an Esthetician at my saloon. I can‘t have better employee than her she is the best. 2. Tell us some more about the Guesthouse, the building, the way you started it, its name and its history. 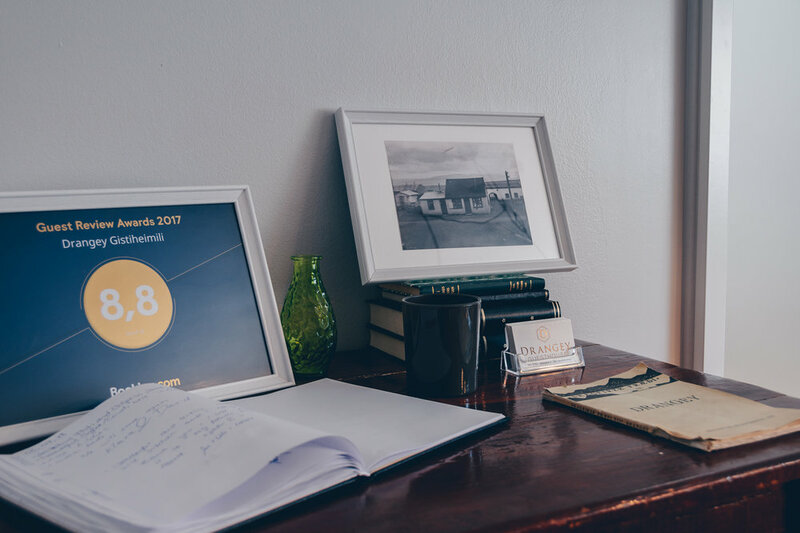 Drangey guesthouse came to life in 2017 after me and Jóhanna have talked about it since early 2016. I´ve always wanted to own the whole house that my salon was in and do something fun with the idea of having many small businesses in the same building working together. The house is built in 1946 as an apartment upstairs and an shop on the ground floor called Verslunin Drangey (The shop Drangey), named after the island Drangey. That is the reason for the name of Drangey guesthouse, we wanted to bring the old name of this house back alive. Some older people who remembers the shop Drangey tell us that they are so happy to see the name again at this house, Then I know the idea was success. At the guesthouse I have old pictures of the town and of the house when other businesses were here. I‘m really fond of history and like having some of the old in with the new. There is 4 bedrooms at the guesthouse all with special names from places on Drangey island. First one is called Lambhöfði, a place were sheep stayed on the island from farmers in Skagafjörður. The second one is called Heiðnaberg, where the one place on the island that is not blessed, so they say. The third one is called Hæringshlaup where a man called Hæringur was running from a man and fell off the cliff. The last one is called Grettisbæli and that is the place where Grettir the outlaw lived. 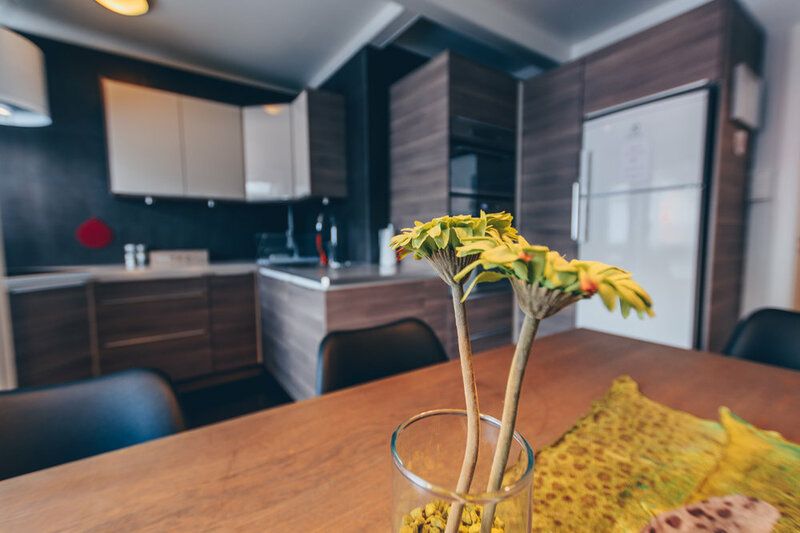 There is really good shared kitchen and a dining table for our guests to use and a small bathroom with a shower. 3. 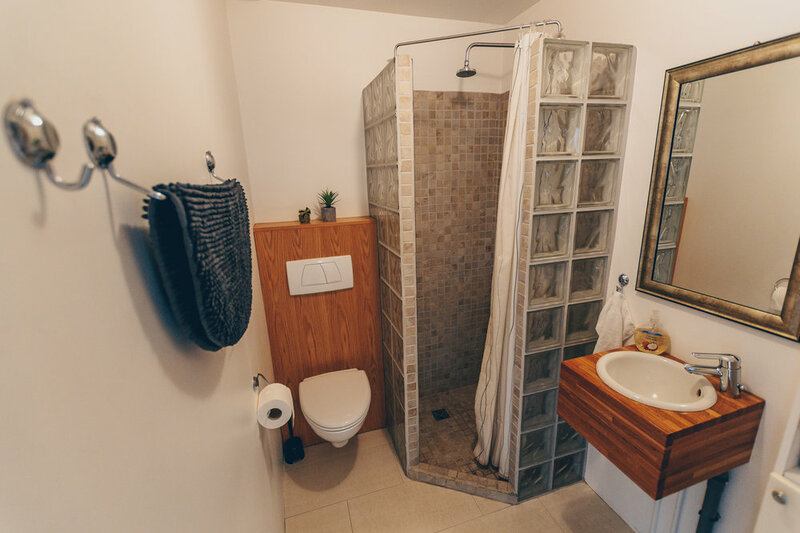 What is the nicest part of running a guesthouse to you? Any particular experiences to share? 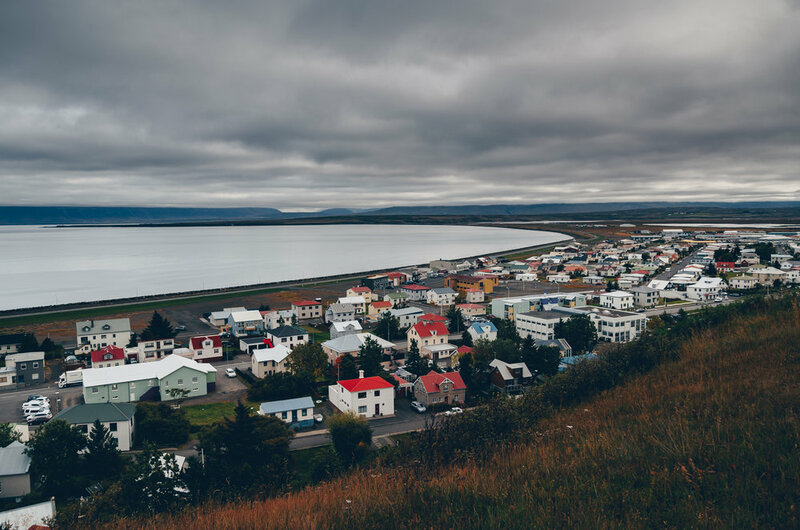 The nicest part is giving people a nice stay here in Sauðárkrókur so they can explore the town and have a nice time. 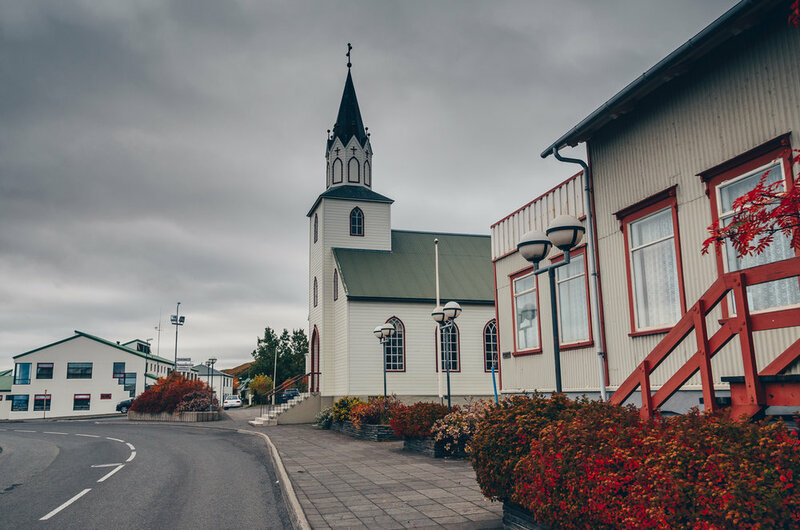 It‘s fun to see the different cultures that come to this small town in north Iceland. 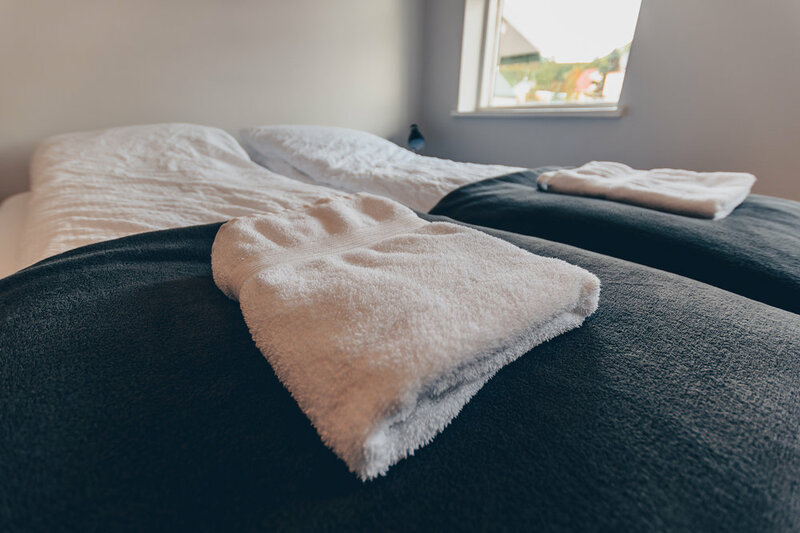 When a traveler comes tired after bicycling around the country and we have available room for him, then I feel how important it is to have a good guesthouse. 4. 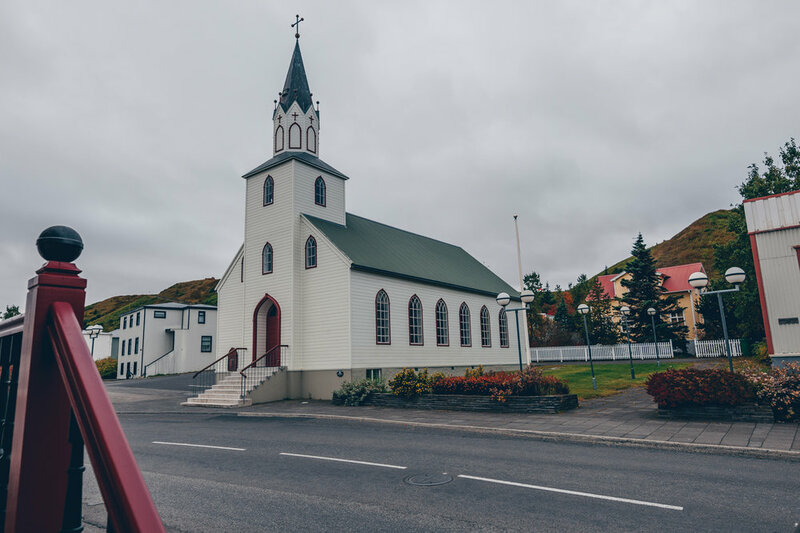 What are the most famous, and forgotten activities to do in and around Sauðárkrókur? 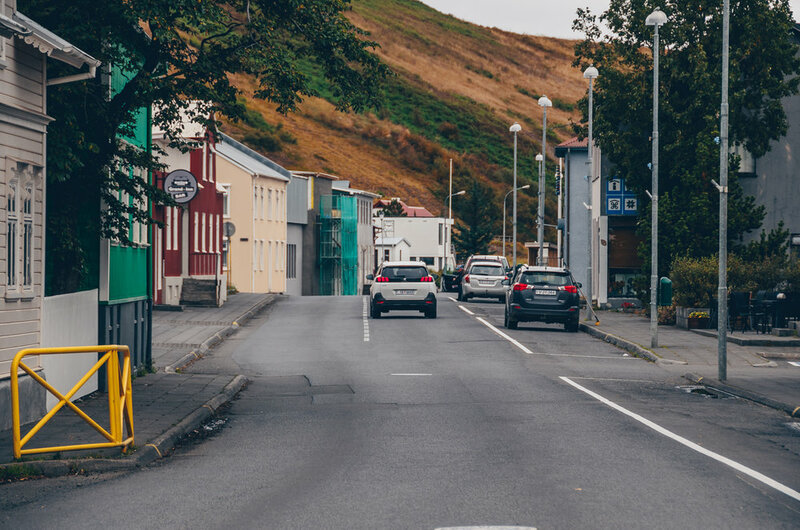 I think the mountain sight here in Skagafjörður, all around Sauðárkrókur, the most beautiful sight to see when you are walking around the town. There are many walking roads on the mountains that are forgotten. Litli-Skógur is a beautiful small forest, if you can call it a forest haha, that you can walk through and have a picnic. There is a great museum about puffins that is called Puffin and friends, it is a must see. You can travel to Drangey the island with Drangeyjar ferðir (Drangey tours) it is an amazing experience. We have the only tannery in Iceland here in Sauðárkrókur and you can visit it and see what they do there in Tannery visitor center. 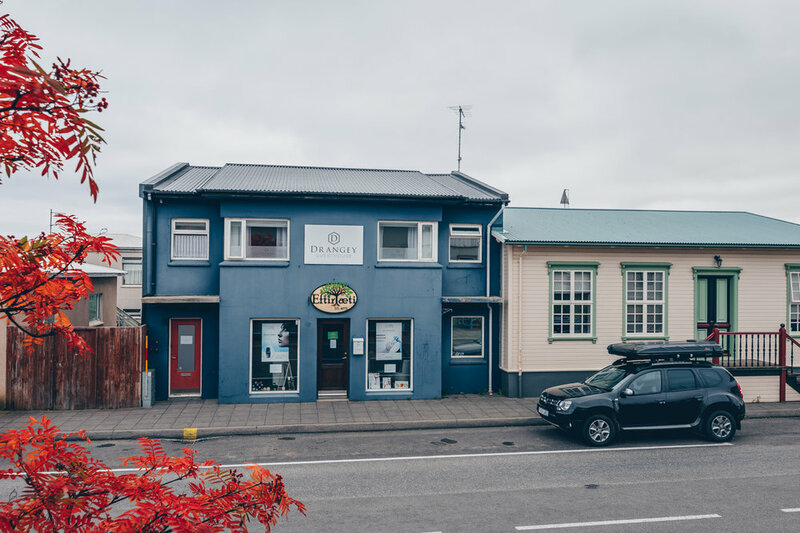 We have the best bakery in Iceland just across the street from the guesthouse, it´s a handcraft family bakery that you must try. 5. Where can we find and book with you, are you on social media, a website? You can book a room or the whole apartment through us at our facebook page or call us. We are also on booking.com but there is only the rooms you can book there because it´s limited what we can offer at booking.com. We don´t have a website now but we hope we do in the future. 6. Thank you very much, anything to add? Something you want to share? Thank you so much to, it´s really nice sharing all of this with you. I think Skagafjörður is really beautiful place, there are so many different things you can see. I would recommend staying in north west of Iceland in a few days and take time to see all the small towns, the countryside and the nature. I´ve lived here almost my 30 years and am always finding something new and old that I haven´t seen. This is a historical place for Iceland. Iceland has a big swimming pool culture and you can find geothermal swimming pools in almost every town in Iceland with hot tubs and ice tubs. I recommend to try out this swimming pools and natural hot springs. There are at least 6 swimming pools or hot springs only in Skagafjörður alone that you can visit. Here’s a few more shots showing you the accommodation, very clean, and so cozy!